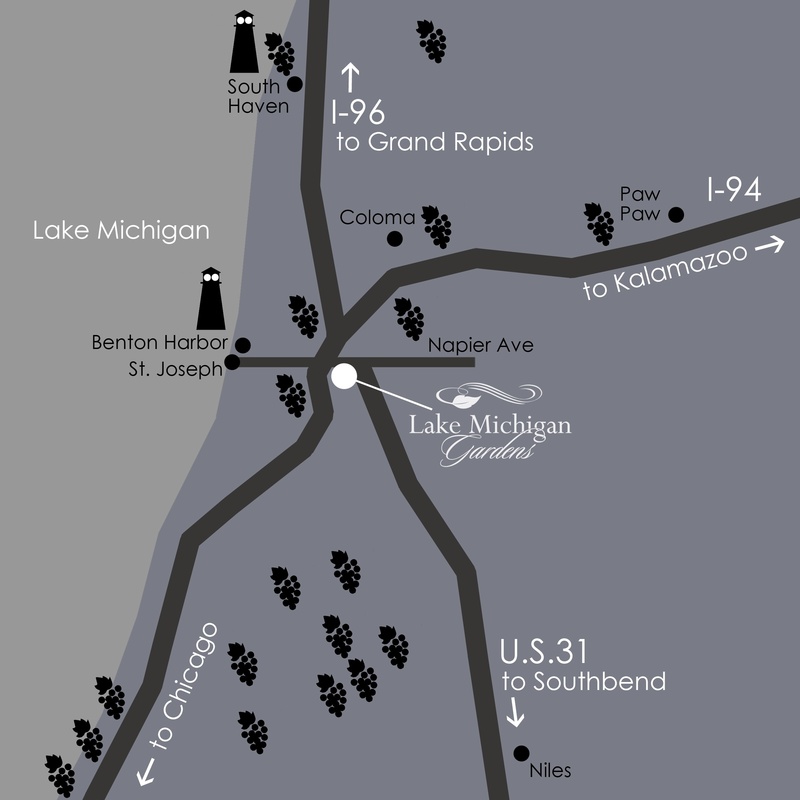 If you’re looking for a location for your indoor or outdoor events, choose Lake Michigan Gardens in Benton Harbor, MI for venue spacing. Owned by 2584 LLC and operated by Operations Manager Kristi Clark, our facility’s guests enjoy our fully air conditioned spaces and an adequate number of bathrooms available. Are there a lot of names on your guest lists? No need to worry about parking as our facility has various parking spaces. We also have plenty of room for outdoor tented events. Our property’s landscape features beautiful scenery complete with ponds, fire pits, and a pavilion in an outdoor grill area. Conveniently located across Lake Michigan College. Easy on, easy off from I-94 and US-31.